MEF’s recently published 5th annual Global Consumer Trust Study probes the attitudes of smartphone users across ten markets to provide insights into their views on smartphones, connected devices and related services in the context of trust, privacy and personal information. 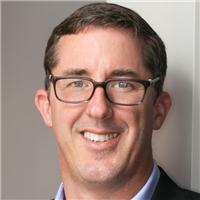 Co-author of the report Michael Becker here discusses the spectrum of attitudes uncovered by the research, and identifies 6 distinct groups of users. Digital is a way of life, from online news and entertainment, online shopping and social engagement, to employment, no one and no activity is immune to the impact that digital has on everyday life and the world’s economies. Increasingly, harnessing identity and personal information is a central driving force for value creation. Identity and personal information are infusing countless existing and emerging commercial services and business models. While these services and business models are bringing unprecedented efficiency and prosperity to our world’s economies, it is easy to lose sight of one key factor. People have lost control of their identity and personal information; their digital sovereignty. Due to the loss of control of their identity and personal information people are at a greater risk of experiencing material harm; such as identity theft, diminished privacy, increased anxiety, loss of time, money, reputation, opportunity, and more. In MEF’s 5th annual Global Consumer Trust Study we uncovered a number of important insights, including the fact that people desire privacy, are willing to manage their personal information, and primarily trust themselves to do it. You can learn more about the study by watching the recording of a webinar I delivered along with Dario at the MEF here in this post. In the webinar, we discuss how, within the trust study, we uncovered an important fact, that people are just starting to take actions to protect their privacy, safeguard their data, and enact their digital rights. They are awakening. We found that that 24% of people have not taken any actions to protect their identity and personal information; while 76% of people have taken, on average, 2.3 out of 12 actions to protect themselves. These and many more insights can be gleaned from the study. As we look forward into 2019 and beyond, however, I’d like to challenge us all to go farther and continue our efforts to better understand people’s attitudes and behaviors when it comes to managing identity and personal information. Specifically, to help guide future research, I’d like to suggest that there are potentially six attitudinal and behavioral cohorts that can be used to help segment people and understand their readiness to manage their of identity and personal information. the digitally enlightened; aka digital buddhas, people that are perfectly balanced and protected. The MEF and related industry research support the existence of these groupings amongst the world’s population, but we’re still lacking evidence. As industry evolves and we become more and more connected I believe it is imperative that we take steps to address the above hypothesis and others. Uncovering this evidence could have a profound effect on world’s companies and industries ability to connect with and serve people throughout their digital life. 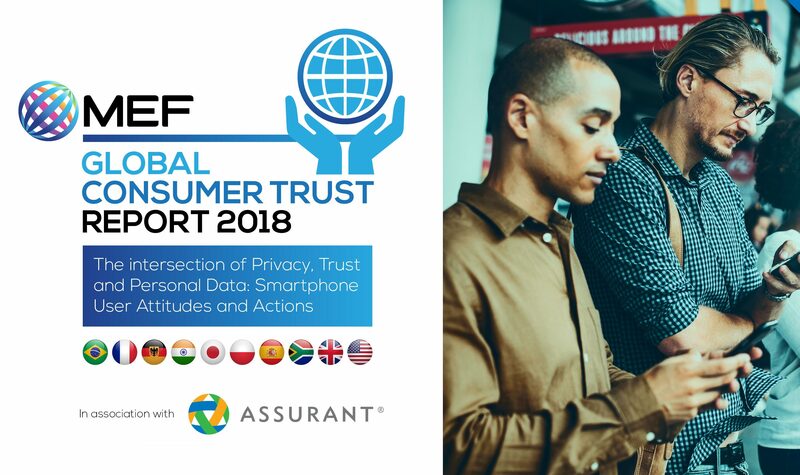 Conducted for MEF by On Device Research in association with Assurant, MEF’s Global Consumer Trust Report 2018 examines the attitudes and actions of 6,500 smartphone users across ten countries regarding personal data and privacy. Now in its fifth year, the Global Consumer Trust Report 2018 shows a marked change in consumer behaviour, and a clear opportunity for the industry to drive best practices in data protection and management.